Valentine's Day is coming up soon and Shoppers Drug Mart has something in the works! 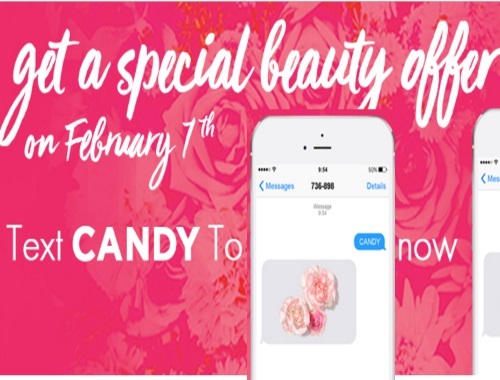 Text CANDY to 736898 to get a special beauty offer on February 7, 2017. By texting the advertised keyword to the short code, you agree to receive ongoing promotional text messages from Shoppers Drug Mart Inc. To opt out at any time, text the word ‘STOP’ or ‘ARRET’ to 736898.